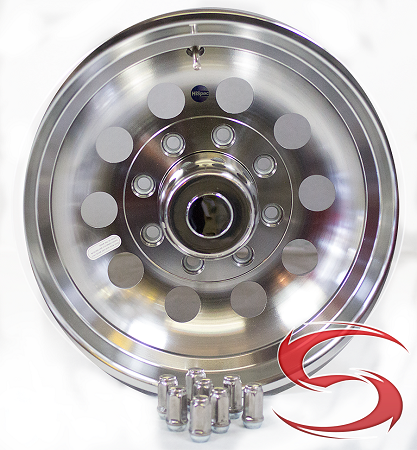 Center Cap/Hub Cover Center Cap & Lug Nuts are Included. 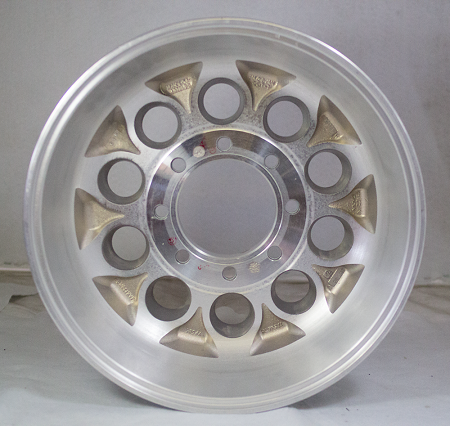 Q: I have these wheels and need to order new lug nuts. 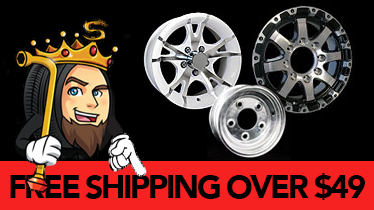 Specifically what lug nuts are included when the wheel is ordered new? 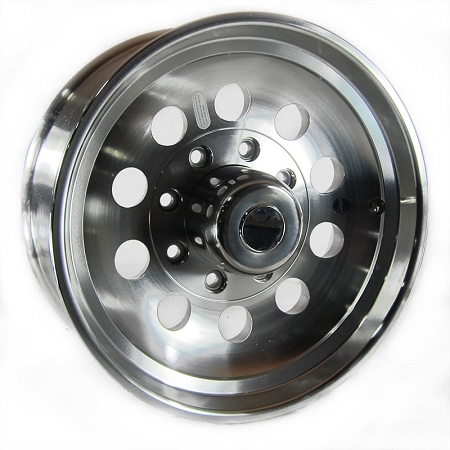 The 17.5 x 6.75 aluminum Modular Hispec wheel, part number 0377865 includes 9/16" chrome lug nuts. Q: Firstly do you ship to Australia? What stud size do the nuts fit? 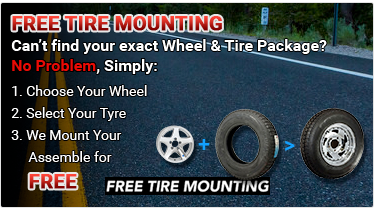 What is the wheel nut taper?